Henry has been dancing since the age of 9. He is a participant in numerous national amateur competitions such as DCDI, Ohio Star Ball, Columbia Dance Challenge, Manhattan Amateur Classic, Southeast Regional, and USA Dance Nationals. 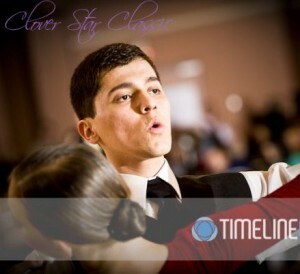 He has been an Open finalist numerous times in novice and pre-champ amateur ballroom. He has been an Instructor in the Ballroom of Maryland team, one of the largest in the country, in international ballroom and has provided training to competitive couples through group and private lessons focusing on technique, theory, and choreography of the five Ballroom dances: Waltz, Tango, Viennese Waltz, Foxtrot, and Quickstep.He has training with renowned coaches Dan Calloway, Garry Gekhman, Victor Fung, Anna Mikhed & Glenn Weiss. He is trained in syllabus international Latin and a member of United States Amateur Ballroom Dancers Association & National Dance Council of America. He is currently further developing his skills and abilities as a dancer by competing as well as studying for the Imperial Society of Teacher of Dancing Assessments in Latin and Ballroom style.